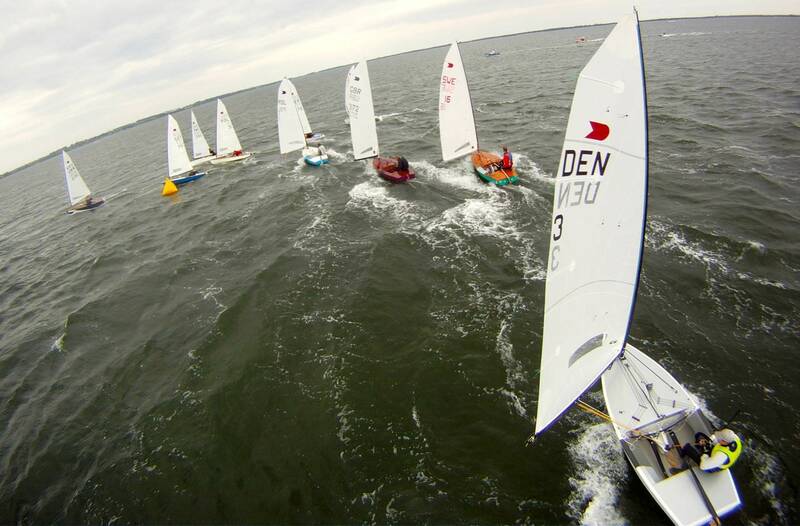 The 2015 OK Dinghy World Championship was opened Sunday evening in the picturesque town of Puck in north-eastern Poland. 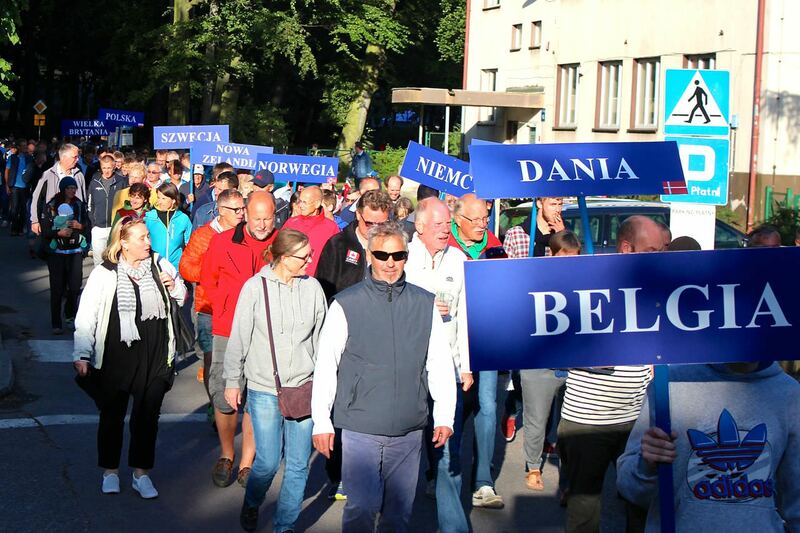 It is 22 years since the class last held its world championship in Puck, and when more than 100 sailors from all over the world gather in one place you know something special is about to go down. On Sunday evening, the sailors paraded in teams, and carried national placards, from the harbour to the town square in a beautiful opening ceremony. They were welcomed by the many townspeople who had gathered there, as well as the town's Mayor. Each nation was welcomed in their home language by a local schoolchild who were also the flag bearers for the ceremony. The procession then weaved back to the habour to enjoy a reception in the event tent. And the perfection was rounded off by the serene evening sunshine, following a day of rain and strong winds - it was a welcome sight for everyone. In fact, so far it has been a mixed bag of weather since the sailors started to arrive last week. The two days of pre-regatta concluded on Sunday afternoon in a stiff and gusty offshore breeze. Registration and measurement, conclude Monday morning before the practice race on Monday afternoon. It is fair to say that the sailors are itching to start racing, though many have been enjoying the Polish hospitality to the full. The pre-entry list numbered around 110 sailors from nine nations, and so far just over 80 have completed entry requirements. It is a special group of sailors with current champions mixed with former champions, class legends and newcomers who have only recently discovered the joy of OK Dinghy sailing. Following a period of growth in the class, the world championship is wide open with a lot of quality sailors here to stake their claim on the title. Historically it has always been one of the hardest non-Olympic class world titles to win, and this year will be no exception. At least 10 sailors have shown form over the last nine months good enough to take the title. There are five former world champions and three former European champions. But the winner may not come from one of that select group. Charlie Cumbley (GBR) is a multiple UK champion across a number of classes but tried an OK for the first time last year and was soon hooked. 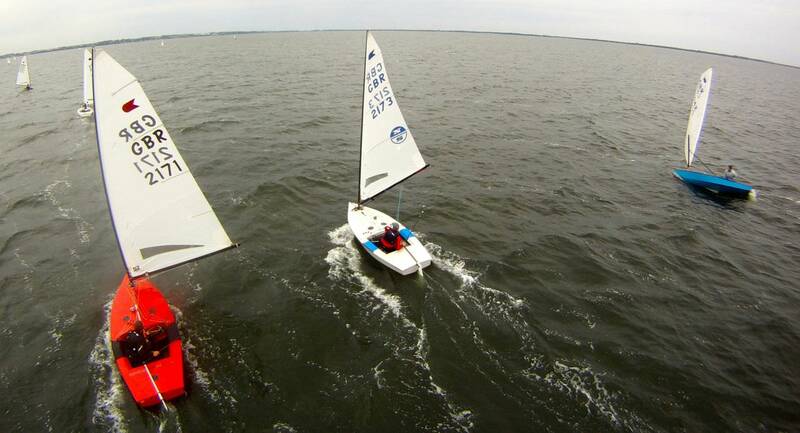 He quickly got a boat and won the Spring Cup in Medemblik and then Kiel Week this year at the first attempt and is looking forward to his first OK Dinghy Worlds. He comes as part of a strong British team that also includes 2004 world champion, and current UK champion, Jim Hunt. Denmark is fielding a very strong team as usual. Current European champion Jørgen Svendsen (DEN) has won races before at the world championship and is regularly in the top 10, but has yet to get close to the top. Former European champion, Bo Petersen (DEN) has been one of the main contenders all year, with top finishes at Medemblik and Kiel while also winning the Nordic championship. Jørgen Lindhardtsen (DEN), even at 70 is still a force to be reckoned with. Other top Danes include René Johansson (DEN) and Stefan Myrälf (DEN), who are both capable of top 10 finishes. Unusually there is a small number from down under. Australia have sent team of six including world ranked No. 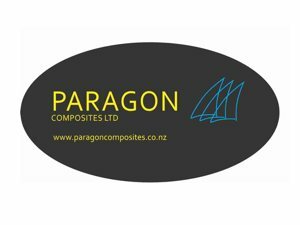 4 Mark Jackson (AUS), while the Kiwi team unusually only consists of the current World no 1. Greg Wilcox (NZL). As hosts, Poland is fielding its strongest team for many years. 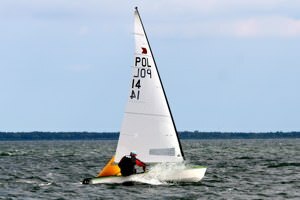 While regulars, Tomasz Gaj (POL) Paweł Pawłaczyk (POL) and Antoni Pawłowski (POL) are competing, the event has also attracted one of Poland's top Finn sailors, Milosz Wojewski (POL). 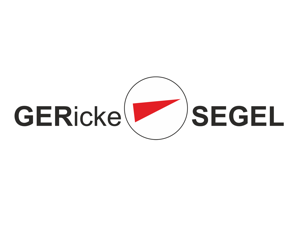 The Germans have mustered the largest visiting team with 21 pre-entries, including the 2012 World Champion, André Budzien (GER) and the 2006 European Champion, and winner of the Warnemünde Week, Martin von Zimmermann (GER). Finally the Swedes have brought a team of 18 including the 2009 World Champion, and perhaps one of the favourites this week, Thomas Hansson-Mild (SWE). Ten race are scheduled from Tuesday 28 until Saturday 1 August. One thing for sure is at the end of the week there will be a new world champion as current holder Matt Stechmann (NZL) is not competing. Racing begins on Tuesday and the forecast for the week ahead looks to be quite breezy. It is heading to be a special championship. 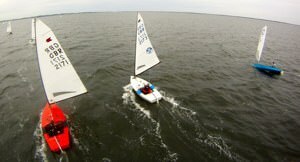 Racing at the OK Dinghy World Championship begins on Tuesday, but on Monday the practice race was held in a moderate to strong southerly. 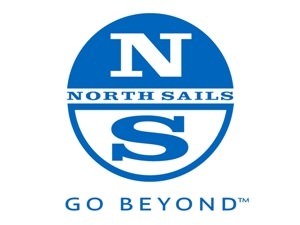 93 sailors are now entered for the week. The early leader was former world champion Thomas Hansson-Mild (SWE) who opened up a nice lead before peeling off and heading in. The race ended in a very tight finish with another former world champion Jørgen Lindhardtsen (DEN) crossing just ahead of Henrik Kofoed (DEN) and Paweł Pawłaczyk (POL). Some 54 boats finished the race. The forecast is still showing pretty strong winds for most of the week. 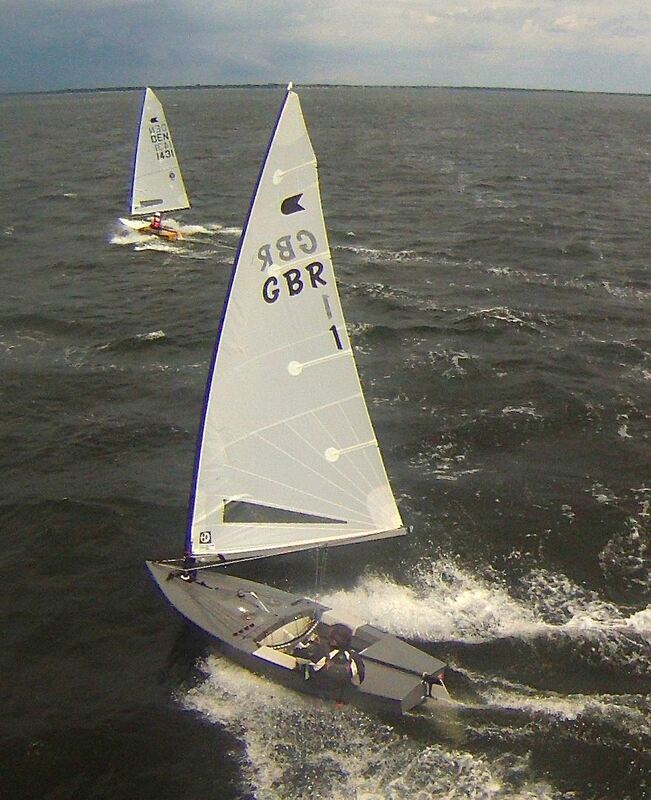 Racing for the 2015 OK Dinghy World title is scheduled to start at 11.30 on Tuesday morning. Bo Petersen (DEN) opened his 2015 OK Dinghy World title challenge with two race wins from two races after an epic day on the water in Puck, Poland. The 94 strong fleet had everything from 3 to 33 knots and hot sunshine to torrential rain. Jim Hunt (GBR) is second and Charlie Cumbley (GBR) is third. In spite of being forecast to be one of the lightest days of the week, racing started after a slight delay in a 12-14 knot offshore and shifty breeze that taxed nerves and tendons to the limit as the sailors were stretched mentally and physically to stay in the game. At the first mark André Budzien (GER) led from Petersen and Cumbley after a very tricky beat that favoured both sides at some point as the wind shifted as much as 40 degrees at times. Petersen moved into the lead on the second beat and just held on to win from Jørgen Svendsen (DEN) and Hunt. As the fleet rounded the final gate, a line squall passed down the course increasing winds up to 30-35 knots from the right hand side which took its toll on the fleet. Richard Burton (GBR) learned that he needed to tie better knots as his sail came down as the squall hit, and he lost a top placing in the race, struggling across the line in 42nd. Race 2 took a while to get off as the wind died after the squall and then shifted. In fact it kept in changing through the afternoon. After a couple of recalls and a postponement, a dozen boats were pulled out on the black flag before the fleet got away. Cumbley led at the top and extended away from Budzien and Petersen, but it didn't last in the constantly changeable conditions. By the second windward mark, Petersen had again taken the lead from Cumbley and Hunt. He held on round the final lap to take his second win of the day, with Hunt coming through to second and Greg Wilcox (NZL) passing Cumbley to take third. 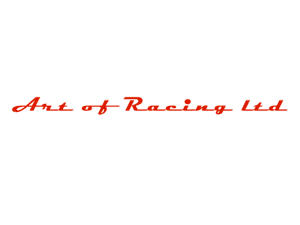 Racing continues Wednesday at 11.30 with two more races scheduled. The 10-race series concludes on Saturday. 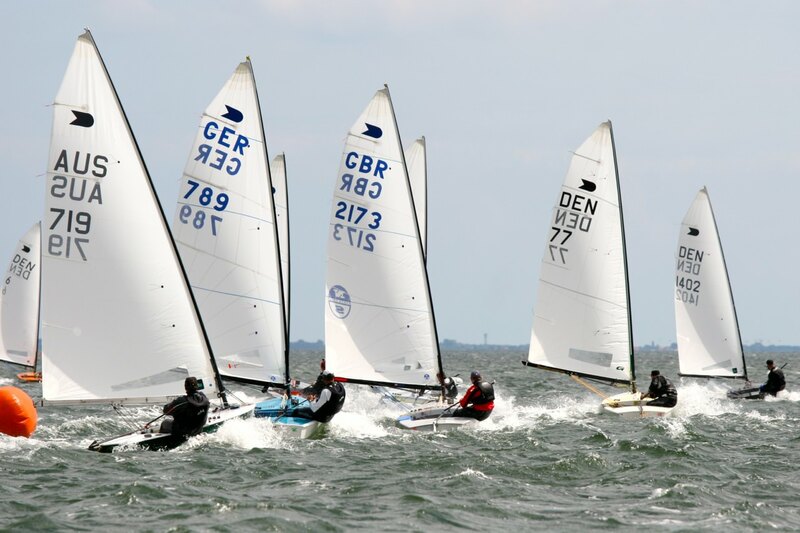 André Budzien (GER) has taken the lead at the OK Dinghy World Championships in Puck after two more races were sailed in an extremely shifty offshore breeze. Jørgen Svendsen (DEN) moves up to second while Charlie Cumbley (GBR) stays in third. Race wins went to Paweł Pawlaczyk (POL) and Budzien. It was a big day in Puck. Big winds, again, a big fleet and BIG shifts. Everyone was on the wrong side of one at some point, but the racing was intense, with no let ups and no place to hide. Many of the leaders picked up some high scores in the second race, while the regatta leader couldn't repeat his perfect day of yesterday. It was a day of throwing the dice for many, and there were more than a few double sixes to be had. Race 3 took a while to get away after some big shifts to the left meant the course had to be reset, and then a second start under black flag. It was a gruelling race for everyone with huge wind changes in both direction and speed with large black clouds coming off the land. Pawłaczyk led around the top mark in race 3 after another left hand shift brought those on the left across the fleet. He rounded just ahead of Ricard Burton (GBR) and Jonathan Fish (GBR). While Burton has his knots right today, he forgot how to gybe and with the wind now up to 20-22 knots, both Pawłaczyk and Burton capsized at the gybe mark top let Fish lead down the reach. However Pawłaczyk found the best route on the second upwind to take the lead, which he held to the finish. Jim Hunt (GBR) came through for second with Greg Wilcox (NZL) gaining on a big right shift on the final upwind to take third. 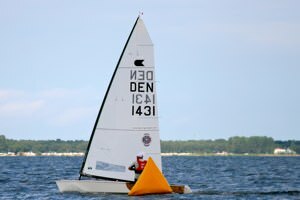 The biggest casualty of the black flag was the regatta leader Bo Petersen (DEN), and with no discard yet in place, he drops out of the top 10. The next race was even more tricky with a very shifty first beat and a very crowded first mark rounding. Budzien started midline with a big enough gap to windward to tack off and cross to the right. He got the first shift spot on and led the entire race. He led around the top from Pawłaczyk and Svendsen. Not much changed on the reaches but on the second upwind it started to get interesting. Budzien just managed to hold onto his lead, but a huge windshift to the right of about 60 degrees brought the middle of the course up to the top mark. Thomas Hansson-Mild (SWE) had rounded the leeward mark about 25th, and sensing the right was good, smacked the corner as the shift hit and reached into the windward mark just behind Budzien in around 16-18 knots. Only Budzien and Svendsen, in third, survived the shift, with the rest of the leading group suddenly finding themselves mid-fleet. With the downwind realigned and the final beat again one sided, and with the wind droping to 4-5 knots, Budzien narrowly maintained his lead from a fast approaching Svendsen from the left hand corner. Hansson-Mild crossed third. Regatta leader Budzien explain his race win. There was this really big shift on the second beat. I was in the middle and the shift came through so I went from the middle of the course directly to the mark. Thomas was on the right but came down on a reach. I was battling Svendsen on the second beat. He was very fast and has a good nose for the shifts at the edges. I covered him at the top and just stayed ahead. 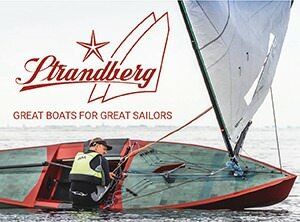 The downwind marks were very hard to find and then on the third upwind Svendsen went the whole way left. He lost early on and then, as always like Svendsen does, at the right moment the shift came. And he was only three boatlengths behind me at the finish. On the conditions so far, It's lake conditions, like Schwerin at home. 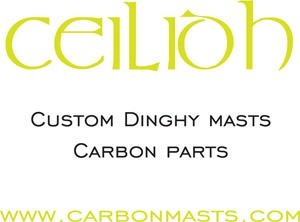 It's shifty, tricky, and sometimes like gambling. You put some risk in, but just a bit. And that makes it really difficult. Also the wind is up and down the whole time, so you have to trim constantly to adjust for it. After one more race the discard comes into effect, so after Thursday's racing we will see how the cards have fallen and who will lead the fleet into the final two days. Racing continues Thursday at 11.30 with two more races scheduled. The 10-race series concludes on Saturday. Jim Hunt (GBR) has taken the lead for the first time at the OK Dinghy World Championship in Puck, Poland after only one race was sailed on the third day. André Budzien (GER) drops one to second and Bo Petersen (DEN) moves up to third. It was a long day in Puck with a series of weather fronts bringing heavy rain and strong winds. With forecasts of more than 30 knots, the fleet arrived at the venue to find a four hour postponement flying. Most of the fleet spent the morning sheltering in coffee shops and cafes waiting for the rain to subside and for any further news from the water. The rain did subside, briefly, but there was no more news so at 14.30 the fleet prepared for sailing without a discernible change in conditions. It was wet, cold and windy. With a stiff wind ranging from 18 to 24 knots it took three attempts to get the start away on a heavily pin end based line. Eight boats were black flagged including many of the front runners. Petersen was the early leader on the upwind, with Stefan Myrälf (DEN) and Budzien rounding in second and third at the top. Petersen kept his lead on the reaches and the second upwind, but Budzien sailed a better downwind to lead at the bottom and extend upwind for his second race win in a row. Petersen crossed in second and with Myrälf picking up a black flag, Hunt took third. With enough races now sailed for a valid championship, the race officer sent the fleet ashore. Hunt said of the day, The pressure changes were not so big today and the shifts were smaller and a bit more stable. The shifts didn't last too long, so once you got into one you could wait for it to come back rather than look over your shoulder and watch it get worse. Downwind there was enough pressure to use the waves properly but it wasn't anything too scary. On race winner Budzien, he said, I thought André was on another level. He was still bossing the boat around while the rest of us were clinging on a bit. After five races, the championship is now past its half way stage, with a maximum of four races still to be sailed. With the discard now in effect, Petersen can discard his black flag and is back in the top three. Jørgen Svendsen (DEN) dropped out of the top three after capsizing at the bottom of the run, twice, and didn't manage to finish the race. With Greg Wilcox (NZL) and Mark Jackson (AUS) also picking up black flag penalties today, there are now seven boats in the top 10 carrying a high score, so any more mistakes would be very costly. Ever the optimist, Hunt, the 2004 World Champion, commented, There's plenty more damage still to be done. 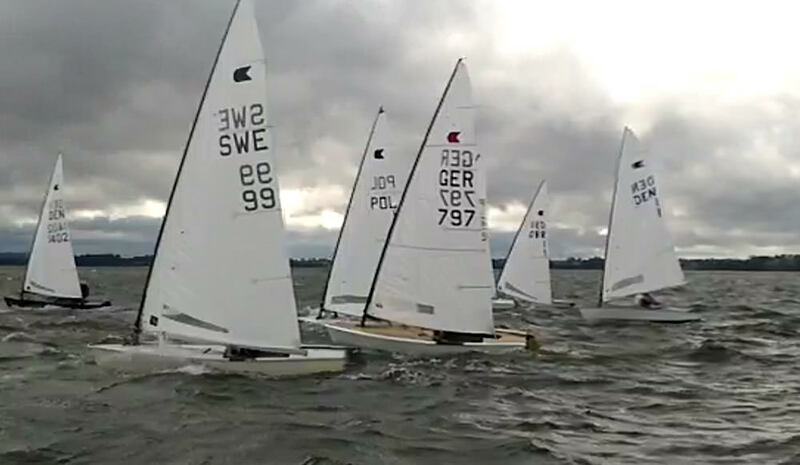 After a particularly horrible day in Puck, Poland, André Budzien (GER) has retaken the lead at the OK Dinghy World Championships, though Thomas Hansson-Mild (SWE) dominated both races for two big wins in the big wind and huge rainfall. Jim Hunt (GBR) drops to second and Charlie Cumbley (GBR) moves up to third, despite breaking his centreboard and not finishing race 7. Just when they thought the weather couldn't get any worse, Puck threw a new version of horrid at the 94 OK Dinghy sailors. The light rain over breakfast turned to moderate rain as they arrived at the club to heavy rain for most of the rest of the day. There were a few breaks in the incessant downpour, but only to build up pressure for the next outpouring from the sky. It was cold, bleak and distinctly unpleasant, but the racing was first class with a relatively stable breeze – and by relatively we mean just 20-30 degree shifts – at 16-25 knots. It took three goes to get race 6 away under black flag. It was a clean start with Bo Petersen (DEN) and Stefan Myrälf (DEN) flying out of the committee boat end of the line to lead the fleet to the left before rounding the first mark ahead of Paweł Pawłaczyk (POL). Cumbley took the lead on the second upwind, but on the final leg, Hansson-Mild, who had moved into the top five on the downwind, favoured the left while the others favoured the right. He found a nice shift back to cross ahead and win the race from Cumbley and Myrälf. 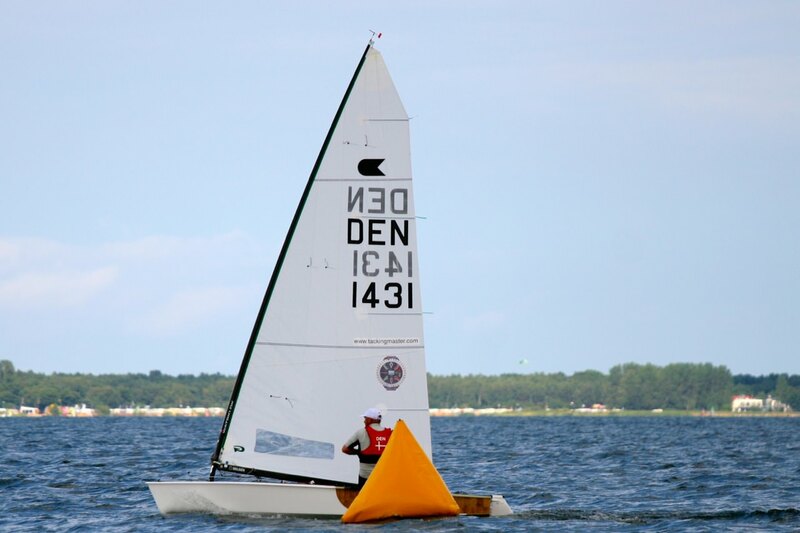 Race 7 also started under black flag, with one boat pulled out, the class President Bo Teglers (DEN). Myrälf was sailing well again (wearing an offshore jacket for full protection from the elements) to lead round the top mark from Greg Wilcox (NZL) and Hunt. However, Hansson-Mild, one of the fastest sailors in the fleet offwind in these conditions, took the lead on the downwind and extended away for a huge win, hooking every shift perfectly. He took his second win of the day from Budzien and Rene Johannsen (DEN). Hansson-Mild described his day. Today was a good day. It was the windiest day so far with a little more stable conditions. In the first race I started towards the pin and tried to work myself up the beat together with the rest of the fleet. It seemed the right was paying but we all came up in a pretty tight bunch. After two good reaches I was in about 10-15 and on the second beat I just played the shifts. On the run I gained on the top three and got in the top five at the gate. I went towards the left side and found some good pressure with a nice lefty which brought me up to the finish . In the second race I started off much better and got a good rhythm in the shifts to find myself top five at the mark and dived low on the reach since it was so deep and almost a run to the wing mark. I got the inside just before Myrälf who showed good speed today and managed to get some distance and could stretch from there on the following beat, run and basically covered from there to win. Going into the event as one of the favourites, he reflected on the week. It's too bad that I had such a slow start at the worlds but with two races to go anything can still happen. But I am of course realistic about the fact that André, Jim, Charlie and Bo are all consistent. My starts have been generally bad and I figured out that, since I've not sailed any championships nor big regattas since the Europeans in 2013 I have missed about 50 starts or more and it's quite telling. His two race wins have set up a fascinating battle for the top spots in Saturday's two final races. While the smart money would be on the 2012 World Champion, Budzien, and the 2004 World Champion, Hunt, to slug it out, there are some high scores lurking, with only Budzien having a clean sheet to show. Cumbley's inadvertent capsize and centreboard damage opened the points gap to Hunt to 12 points. However Petersen, Pawłaczyk and Hanssen-Mild are all within striking range if the opportunity presents itself, so it should be an exciting conclusion to a tough week on the water. André Budzien (GER) has won the OK Dinghy World Championship in Puck, Poland after a very difficult, and sometimes contentious, final day. Charlie Cumbley (GBR) took the silver while Bo Petersen (DEN) took the bronze. It was certainly a day of two halves in Puck. The first half was one of mystery and confusion. 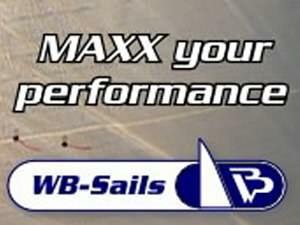 While some of the fleet were mystified why the first attempt at race 8 was abandoned at the windward mark after a 70 degree wind shift, others were mystified why the re-sail wasn't abandoned when the wind deserted the course for 20 minutes on the final upwind and then popped up in the corners to completely change the finishing order. But everyone was confused by the pressure and direction changes that continued unabated all day long. The second half continued when the breeze shifted 180 degrees and for the first time this week the fleet sailed a northerly upwind leg. The other major change was that the sun came out properly for the first time in a week. As the fleet now leaves Puck, typically, a week of high temperatures and low rainfall is forecast. The first attempt at race 8 started under black flag and half way up the beat it was clear a change was coming. On the right the wind gradually veered 70 degrees bringing the middle up to the mark. Confusion reined at the top mark as the race committee tried to abandon without any flags. Several major contenders including Budzien, Stefan Myrälf (DEN) and Paweł Pawłaczyk (POL) were quite relieved as they were all on the left and very, very deep. On the re-sail in a slightly more stable wind, Pawłaczyk favoured the right this time to round first from Antoni Pawłowski (POL) and Dawid Kania (POL). The leaders stayed in control round the next lap but it all changed on the final upwind. The wind was easing as the fleet rounded the gate mark, but switched off completely for 15-20 minutes as they negotiated the final upwind. Lots of the leading group were stranded in the middle with no way back. A few on the left found some pressure and ended up beating to the finish from way beyond the layline. Gradually the middle clocked up to the line while the right side reached down. Despite the disgruntled sailors, the race officer let it run. Kania won from Myrälf and Andréas Pich (GER). Regatta leader Budzien struggled across in 17th. Jim Hunt (GBR) was one of eight black flags and decided to call it a day. The final race was looking doubtful for a while with not many sailors exactly keen to repeat the previous race. But half an hour later a 10-12 knot northerly appeared and a course was set. It was probably the best race of the week in brilliant sunshine and a more stable breeze. It was also time for the old man to show who was the boss. At 70 years of age, Jørgen Lindhardtsen (DEN) had won the practice race and then a series of bad luck followed with two black flags and a deep result on the shifty race 4. However he put that to right in race 9, leading from start to finish and extending for a very popular win. He also choose this week to sail his very oldest boat, which he used when he returned to the class in the 1990s. Cumbley crossed in second with Myrälf third. So André Budzien wins his second title following his victory in 2012. Charlie Cumbley wins the silver at the first attempt and is surely someone to watch closely in the years ahead. Bo Petersen wins the bronze, his first OK Dinghy Worlds medal after four years of trying. All told it has been an interesting week in Puck, some extreme weather and extreme wind shifts, far too much rain, a little bit of sunshine, great hospitality and most importantly of all, a worthy champion in André Budzien. 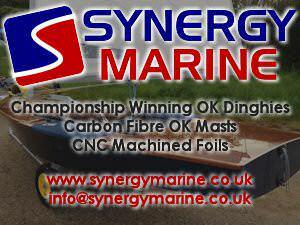 Next year the OK Dinghy World Championship heads to Quiberon in France.